Many farmers can attest to the steep learning curve associated with starting your own farm enterprise. Eric Silva, a first year farmer with New Entry and a 2015 graduate from our Farm Business Planning Course, is no different. Eric happened upon our program offerings after surfing the web. His sedentary cubicle job was getting old and he wanted to get back outside working with his hands, where he feels most at peace. However, he needed a bridge to go from his full time office job, to full time farmer, and New Entry had just what he needed: the space, equipment, and training to get his hands in the soil and a safety net to help him along the way just in case things didn’t go as planned. But when do things really go as planned? When asked his biggest challenge in this first year he replied with a smile “everything was a challenge.” First, a late start due to some drainage issues in his plot, next, most of his seedlings fell victim to a wind squall that blew over his mini-greenhouse, and lastly a pre-planned (and well-deserved) family trip allowed just enough time for the weeds to really make themselves at home in his fields at peak production time this summer. Due to all of the unforeseen challenges, Eric decided to forgo his World PEAS crop bid and instead use the rest of the season to soak up as much knowledge as he could. He utilized the technical assistance provided by New Entry staff to his full advantage. “Having [New Entry Staff] to give realistic expectations was really important … Sometimes I thought I had a plan and then after an hour conversation with staff my plan completely changed for the better,” Eric says. A stroke of good luck was in the works for Eric though when, in late August, his family secured a beautiful piece of land in Ashby, MA. 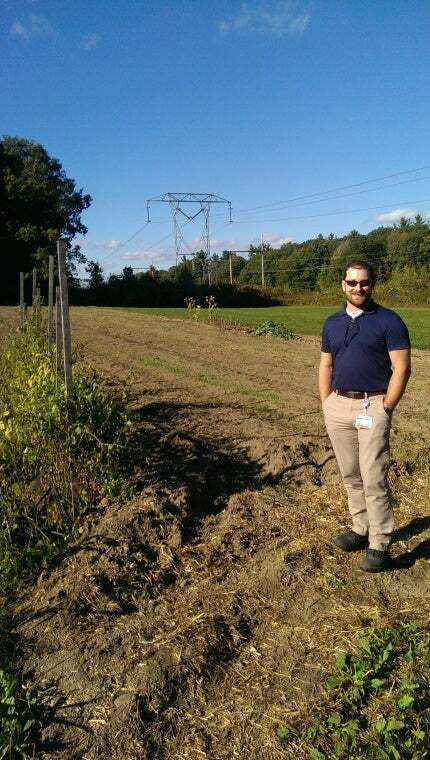 Land ownership is often the hardest part of a farm business in Massachusetts and Eric now has that off his plate! The property needs to be cleared and the soil revitalized before any large scale production can occur so Eric is looking forward to keeping his space on New Entry’s Smith Farm Incubator Site to continue his operation next season. He is aiming to operate a small CSA and sell to World PEAS next year. Eric’s jovial personality comes through in his remarks on life in general, “It is better when you’re having fun.” And for us at New Entry, farming is always fun.